Hear What Other People Have Been Saying About Taiwan Adventures! “The trip ran smoothly and was very well organized. The hosts were professional, fun and super friendly! Taiwan Adventures ensured the preparedness of the participants by providing an equipment/supply checklist prior to the trip as well a very accurate briefing of the hike ahead. The amount of food supplied was more than adequate and they were very attentive to the needs of the clients. “What a fantastic weekend! Nothing like spicy jack cheese, coffee, pasta and more bagels than I can eat on the side of a mountain! Great photos, as well! “Great job organizing the hike up to Pin Tien Shan, Neil Wade and Stu Dawson! I’m back at my desk now but wishing I was back in Taiwan. I really enjoyed the hike and the scenery, it was nice to see a different side to Taiwan than the big cities. “Thank you for organizing the trip to Snow Mountain, it was simply gorgeous up there. As a new comer to Taiwan, I did appreciate that you took care of planning the trip/getting the permits/making the schedule. I would not have been able to go to Snow mountain on my own, so thank you for that. It was also very considerate of you to accommodate for every kind of hiker, whatever their pace was. Finally, it was a great opportunity for me to meet people from all over Taiwan. I did not expect good laughs and whiskey. So, great place, great organization, and great memories to share with my jealous friends back in France. “I just wanted to say a massive THANK YOU!! to you and Ross for the trip- the hike was tough but it was all incredible- the kids are raving about it today at school and we all really bonded. You and Ross were absolutely fantastic and looked after us so well, I/we couldn’t have go through it without you! “Thanks for an awesome trip to Snow Mountain! It was my first big hike in Taiwan and it didn’t disappoint. I went in not knowing anyone but had a great time meeting new people and hanging out with our group. After planning my trips around Taiwan, I really appreciated being able to just sit back and enjoy the hike. Thanks to all of the planning. I am proud to have made it to the top of Snow Mountain and definitely recommend Taiwan Adventures to my friends. No more boring weekends, no more trying to convince friends to go do something fun, i.e. go for a hike, a run, a climb, a dive etc. If you’re looking for fun, you have come to the right place. 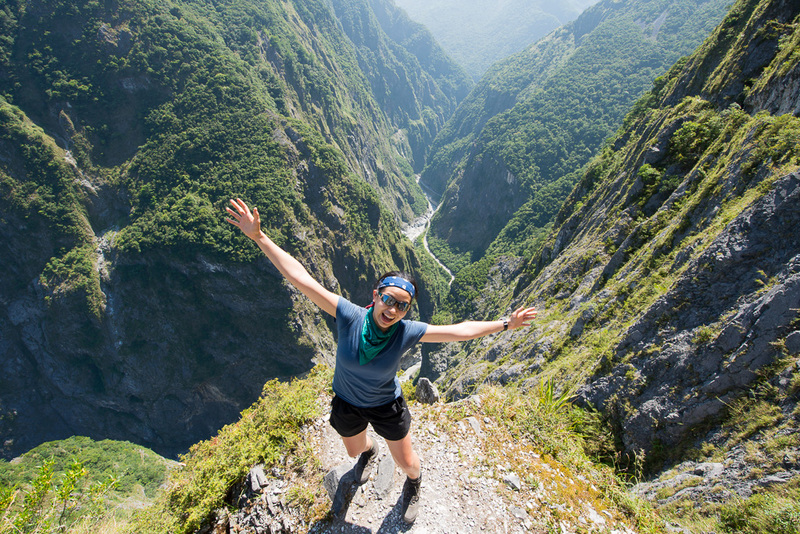 Taiwan Adventures provides not only guiding to some of the most spectacular places in Taiwan, but also a form of entertainment (fun on the hikes), and the possibility of new friendships (you meet so many people)! With their experience and knowledge that they bring along, there is never a time to feel scared or distressed about your presence or physical ability (although assess it yourself before joining a hike! ), as they make you feel comfortable and take your well being to heart. I would like to take this opportunity to thank you guys for organizing such a wonderful climb last weekend to the Snow Mountain. I had an awesome experience and i enjoyed it.